This will be the last of the finds of my clearing out the family room at the house so that it could get a new paint job and look fresh for Easter. While I was emptying out the entertainment center so that I could move it, I was unpacking a collection of vinyl records, yes, both myself and my Bride go back to that era, in fact we still have a turntable hooked up to the receiver in that room. 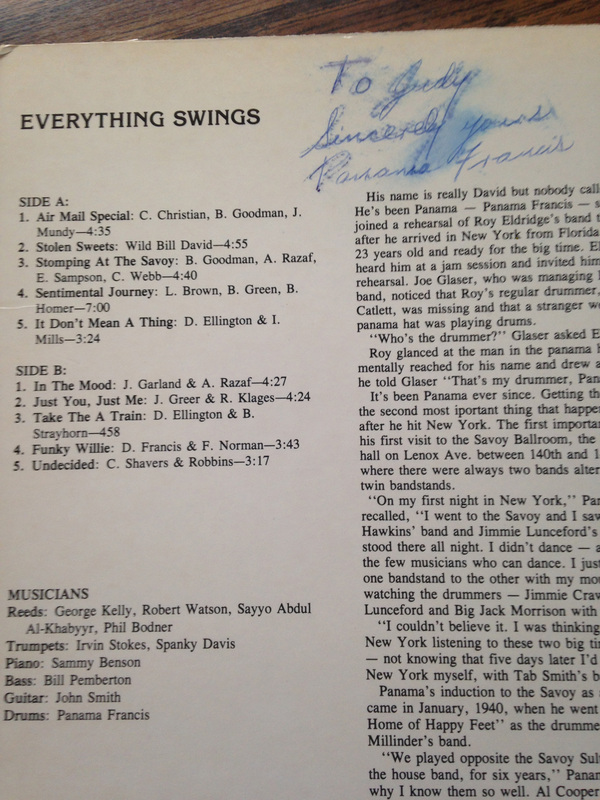 As I was removing all of the albums, I found a menu from a restaurant that I have never been to, and I also knew that we have in our collection of matchbooks, something that I am said to have seen disappear from the landscape, because it is such a wonderful keepsake for a great memory. My Bride had a life before she met me; in fact she was much more cosmopolitan than I was at that time. 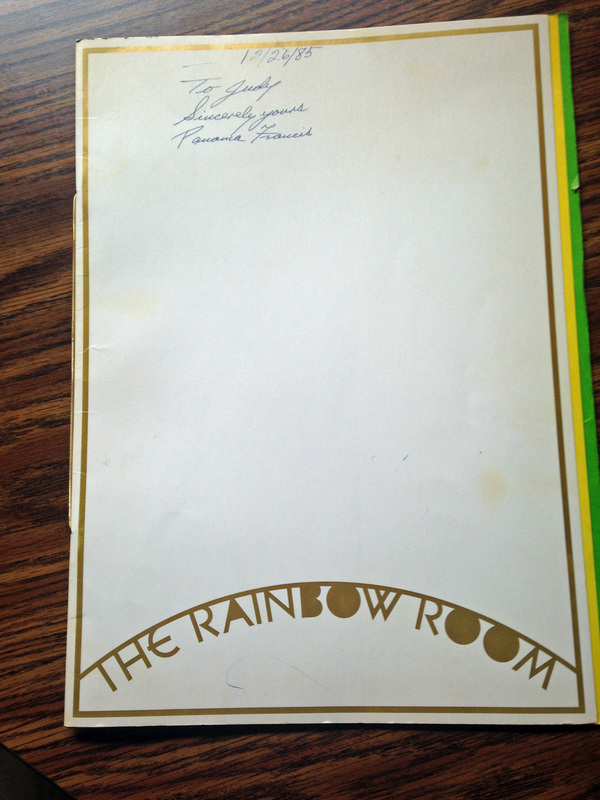 I found a menu from The Rainbow Room of New York. 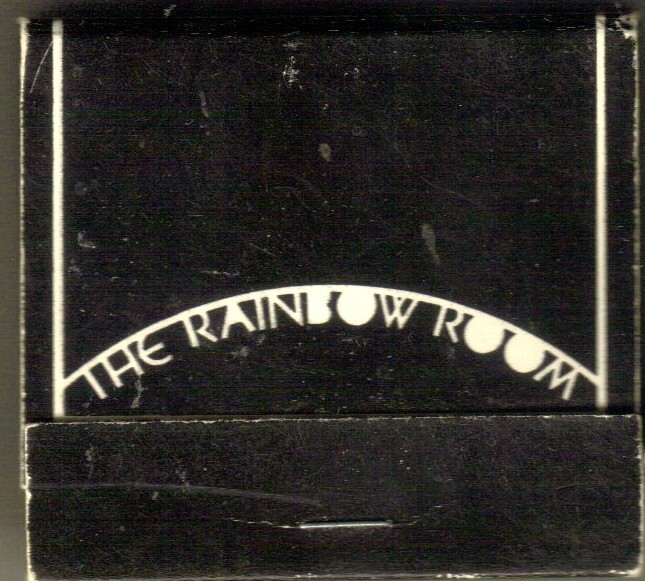 The Rainbow Room is a designated Landmark found at 30 Rockefeller Plaza on the 65’Th floor of the building and for years was known as the highest restaurant in the world. It was truly the place where the elite met to eat. When I showed her the menu, she just smiled and said that it was a pleasure to dine there, as well as to have danced there. She was looking at the prices in the menu, and laughed at how they are the norm for most of the dishes today, but it goes to show you what the norm was in Manhattan in 1985. To give you some examples, the three dishes that were offered for two were Rack of Lamb, Chateaubriand and Cote de Boeuf au Poivre Vert and the were all priced at $45.00. When I asked her if she could remember what she had that evening, she looked at menu and said probably the “Filet of Sole, Cote d’Azur” at $21.00. As I looked at the menu, I also realized though she didn’t mention it, that she probably had the Grand Marnier Soufflé as well. When I asked her what she had to drink that evening, she responded that it was probably a Chardonnay, and that I am sure it was, because when we first met she always used to have Filet of Sole and Chardonnay.